Shakesville: Happy Birthday, President Obama! President Barack Obama at his final press conference in office. Today is President Barack Obama's birthday. Happy Birthday, Mr. President! I didn't know what to get you, since being out of office seems like the best gift ever! 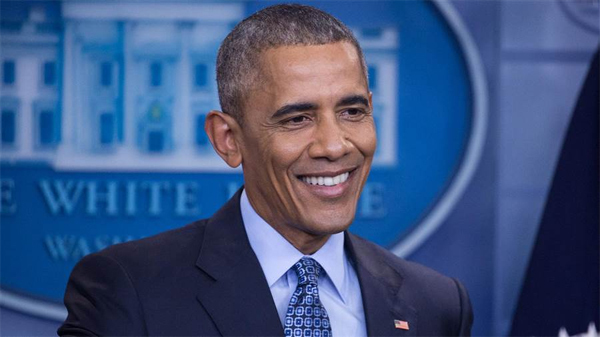 If you'd like to wish Obama a happy birthday, or reminisce about what it was like when we used to have a president who was a deeply ethical, intelligent, competent, hardworking, compassionate, flawed but fabulous human being, instead of a having president who is a monumental wreck, have at it in comments! I miss you, President Obama. I really do.